For years now, materialism has been waging a psychological campaign against belief in Allah, one that it in fact lost right from the outset. Unable to comprehend that Allah will definitely thwart superstition, materialists are still foolishly persisting in this struggle with all their might. It has been proved that the universe came into being from zero volume with the Big Bang, in other words that it was created from nothing, and is constantly expanding, as described in Allah's verses, yet materialists still engaged in this campaign against the truth are making illogical claims in order to indoctrinate people with the nonsense that matter is timeless and eternal. Quantum physics has shown that matter consists solely of light waves, yet since materialists espouse the absolute existence of matter, and reject anything outside matter, they have constantly sought ways of denying that fact. 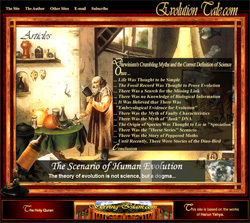 Countless scientific advances and particularly findings made in the field of paleontology have scientifically proved the invalidity of the theory of evolution, yet materialists still persist in their campaigns, which were defeated right from the outset, intending to indoctrinate people with the idea that living things actually evolved. The more blows science has dealt to materialism, the more the question of the materialist counter-offensive has been raised. Materialism responded to the scientific evidence with a psychological campaign. That is what it is trying to do by means of the Darwinist deception. This has brought together Nobel prize-winning professors, scientists, paleontologists, microbiologists, zoologists and scientific writers to shamelessly and unhesitatingly espouse the irrational deception that "molecules existed in water; the cell came into being through the effects of mud, chance and time." These people have cast such a spell that millions of other people have begun to believe, under the influence of this psychological campaign, that drops of fat falling into water assumed a cellular form, that a fish walked out of the water, that the first-ever bird hatched out of a dinosaur egg and began flying, and that monkeys gradually and by chance turned into human beings that make discoveries, create civilizations, develop technologies, write computer programs and send rockets into space. A scientist is regarded as worthy of the Nobel Prize because he discovers "just one part" of the extraordinary structure of the cell that nobody had ever discovered before. But after winning this prestigious prize, that same scientist has no hesitation about teaching his students the myth that that same cell came into being purely by chance from a bit of mud. 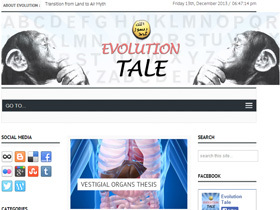 Despite having put his name to countless pieces of research, that same scientist will have no qualms about telling his students about Piltdown Man, Haeckel's fraudulent embryo illustrations and the Industrial Revolution moths, which are all deceptions, as if they really constituted evidence for evolution. Almighty Allah is the Creator of all entities in the world. A world freed from the Darwinist deception will finally become aware of that fact. This is the pathetic state to which the atheist and masonic spell, the system of the dajjal, brings Darwinists. Through Darwinism, the dajjal has entered just about everyone's brain, has deceived them over a very long period of time, and has lied to and defrauded them. A great many people have blindly and unconsciously gone along with this lie, having for years regarded themselves literally as descended from animals, have for that reason become wild and uncaring, and have abandoned their responsibilities to Allah. The dajjal, atheist freemasonry in other words, has spread one of the worst deceptions in history to the four corner of the Earth by using Darwinism. Under the influence of the dajjal, Darwinism has become the greatest ever mass deception. But this success on the part of the atheist masons who disseminate the system of the dajjal is a false one. The Darwinist deception has finally come to an end. All the frauds of Darwinism have finally been exposed in the 21st Century in which we are living. People have realized that all the specimens Darwinists have alleged to be transitional forms over the last 150 years are false. Just about everywhere in the world has been excavated, and more than 350 million fossils have been discovered, but it is clear that not a single one is a transitional form. 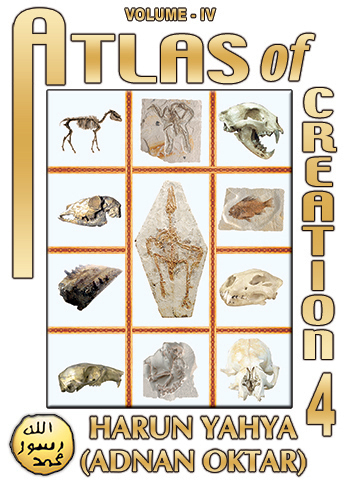 It has been realized that all these fossils represent perfect life forms, and that a great many belong to forms still alive today. With this evidence, people have realized that living things emerged with the same appearance they have today and never changed at all. And through that fact, they have come to see why Darwinists kept fossils hidden away in drawers and tried to conceal the scientific evidence. Findings from such sciences as microbiology, paleontology, molecular biology and genetics have definitely proved that the theory of evolution is one that could not possibly have happened. In addition to all this, people have also seen that the reason why Darwinists are opposed to belief in Allah and the fact of creation is their adoption of Darwinism, a perverse religion. It has thus been realized that Darwinists have resorted to all kinds of fraud and deception in order to mislead people. There is a great deal of evidence before people's eyes refuting evolution. People have now realized that evolution is a deception. They now know that the theory of evolution is supported by not one single piece of evidence. By the will of Allah, it is now impossible for them to come under the influence of the Darwinist deception. 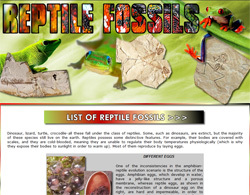 People have visited exhibitions displaying evidence of the invalidity of the theory of evolution and have examined living fossils. They have touched the fossils with their own hands and seen them with their own eyes. They have been amazed to learn that living things have remained unchanged for millions of years, in other words, that they never underwent evolution. They have carefully inspected every page of the Atlas of Creation and concluded that life forms around today were also around, in exactly the same form, many millions of years ago. They have now understood the fact that the Earth is being studied and researched all the time, and that it keeps on producing evidence corroborating the fact of creation. 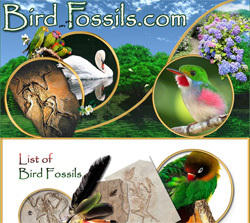 They have seen and been amazed that the challenge issued to Darwinists, in the world's best-known arenas, for them to "produce just one transitional fossil" has been met with a profound silence. 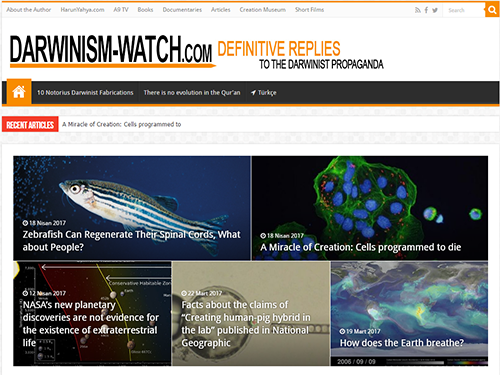 Darwinist propaganda has been exposed, and people have been told, by means of books, DVD's, internet publications, conferences and television interviews, that they must not support this deception. 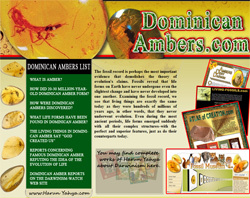 The deception that is Darwinism came to a complete end in the face of 300 million fossils all proving Creation. The fact that Darwinism is the worst deception in history is currently spreading rapidly right across the world. Obstacles put in place against the fact of Creation by official institutions such as the European Council reveal the terrible panic that Darwinists are in. Never before in history has an assembly representing nation states lined up behind a deception and taken an official decision to support a fraud. That is the state to which Darwinist panic has brought the supporters of Darwinism in the 21st Century. Darwinists imagine that they can keep this deception propped up by means of repressive governmental decisions, making evolution an obligatory part of classes, seeking to conceal the fact of Creation from students by making one-sided use of the judiciary and engaging in a one-sided imposition. The fact is, however, that the honest conclusion reached by millions of people in the face of Darwinist deception is far superior to all the oppressive and imposed measures and the results therefrom. No Darwinist can alter people's definitive opinions through any repressive law. No Darwinist can convince people of, and impose on them, a theory that has been refuted by countless proofs. That is impossible. The Darwinist ruse is now at an end. In the 21st Century, people can access whatever facts they wish from whatever sources they choose. Therefore, oppression and hindrance will never attain the results that Darwinists want, and the reaction against the Darwinist deception will continue to grow apace. 1- 93% of people answered "yes" to the question "Should subjects such as Creationism and Intelligent Design be taught alongside the theory of evolution in public schools?" 2- The French Science Actualités web site held an open poll in the wake of the huge impact that followed the distribution of the Atlas of Creation. The results of the survey showed that Darwinism in France has been obliterated. According to the poll, headed "Your Thoughts on the Subject of Evolution," 92% of the public do not believe in evolution. 3- According to the results of a poll published on the web site of Ekstra Bladet, a high circulation Danish daily, "Danes no longer believe in evolution." Asked "Do you think that human beings are descended from apes? 88% of the Danish public responded "No." 4- Die Welt, one of Germany's leading publications, held a poll on the subject of creation on its web site; 86% of participants answered the question "How do you think life formed?" by saying "Allah created it." 5- A survey published on the web site of the widely read Swiss daily Blick revealed that 85% of people believe in creation. 6- According to a poll on the subject of whether evolution ever happened, published by Süddeutsche Zeitung, one of Germany's largest dailies, on its web site showed that 87% of people believe that human beings have a Creator. 7- The Evening Standard, a daily published in London, held a poll on its web site on the subject of "Should Creation be taught in schools?" in October 2008. According to the findings, 73% of the British public answered "Yes." The same fate awaits the snares set by atheist freemasonry, the system of the dajjal, and its intellectual system. Darwinism is a trap set by atheist freemasons in order to turn people from Allah's path. But no matter how great these traps may be, no matter how comprehensive and effective the plan set up, they are still all under Allah's control. The dajjal and his perverse order only exist because Allah so chooses. As revealed in the verse "But you will not will unless Allah wills." (Surat al-Insan, 30) nobody can wish for anything unless Allah so wishes it; nobody has the power to set a trap or put it into motion. Darwinism is now in the same position. This trap set by the dajjal has been thwarted as Allah promised. Since Darwinists are unaware that their possible plan has been thwarted right from the very outset, they rejoiced enormously to see their propaganda being effective and imagined they would eventually achieve success. They never even guessed that Allah would inevitably rout them, and that from dominating the whole world they would end up as figures of jest. They have no conception of the Law created by Allah, that truth will inevitably be victorious. When one trap fails they start casting around for new ones, but they fail to realize that these, too, have been created already defeated. But the fact is that the whole perverse system of the dajjal will inevitably be defeated, as it is now. The Philosophy of "It Doesn't Hurt a Bit!" Satan's false order is weak, and the system of the dajjal has been vanquished. The love and friendship required by Qur'anic moral values will rule the world. The theory of evolution never expected over the last 150 years that Darwinism would be openly called a lie, and that the evidence refuting the theory would be revealed in all its detail. Even though a great many people realized it was a false religion that violated their beliefs, they remained silent in the face of Darwinism and were forced to accept this perverse system. Teachers were obliged to teach evolution to their students, even though this violated reason, logic, scientific evidence and their own beliefs because these people were exposed to intensive deterrent propaganda. Darwinism could now only be kept alive through pressure, violence and intimidation. But the position has now changed. The invalidity of Darwinism has been revealed, irrefutably and with scientific evidence. It has been clearly proven that Darwinism is a huge lie kept propped up through fakes and fraud. The great work, the Atlas of Creation, has entered the homes of scientists, university professors and people in charge of running countries, and everyone with an interest in the subject, including students, can easily access that work over the internet. This state of affairs has been met by Darwinists with astonishment, panic, fear and alarm; they have attempted, in their own foolish way, but failed to prevent the Atlas of Creation being read. They themselves have begun to see that their theory is at a dead-end. A profound silence now reigns in Darwinist circles in the face of these facts. 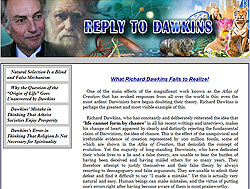 Some fanatical Darwinists have adopted the mentality of "it doesn't hurt a bit," like a child who has had a toy taken away, even though they have seen the vast quantities of scientific evidence that undermines the theory of evolution, and the huge interest people have shown in it, and even though they are well aware that Darwinism has in fact collapsed. They foolishly try not to let on, however, by saying, "I believe in Darwinism no matter what, and shall continue to espouse it." The fact is, however, that this is just another Darwinist trick that will get them nowhere. As Allah reveals in the verse, "... Satan's scheming is always feeble" (Surat an-Nisa', 76) Darwinism, the system of the dajjal, collapses very rapidly. So much so that it is finished merely by the fact that proteins cannot appear spontaneously, or that transitional fossils do not exist. A Darwinist cannot remain a Darwinist in the wake of that information. All he can say, with a mindless obstinacy, is "I believe and intend to go on believing." But that is not what he really thinks. It is no longer possible for him to believe in Darwinism. Some adherents of Darwinism are persisting in the same obstinacy as a child who claims that the soap his mouth has been washed out with is not at all unpleasant. But whether the child claims the soap does not taste unpleasant is irrelevant. What matters at the end of the day is that he experiences the unpleasant taste caused by the soap. Therefore, in all likelihood there is not a single Darwinist left in the wake of all the scientific evidence proving the invalidity of Darwinism who is unaware that Darwinism is a fraud. No matter how much Darwinists may say, "it doesn't hurt a bit," it is clear from their reactions, the measures they take, and the intense state of panic going on, that this defeat has come as a stunning shock. That may of course be very difficult for a scientist who has believed in the lie of Darwinism for many years and realized he has been deceived only later in life. People are generally unwilling to admit they have been deceived and that they have blindly supported that deceiver. That is why the first way out is to say, "I don't believe it" when faced with evidence against Darwinism. But in fact that person believes in the evidence placed before him 100%. When asked again six months later his anger will have subsided and he will start answering. In all likelihood he will say, "Darwinism may or may not be true." He will try to quibble and look for middle ground such as "new evidence may appear in the future." But the fact is he is well aware that this perverse ideology is a deception bereft of any evidence, yet he will find it difficult to admit that right away. But nevertheless, Darwinism is finished for that person. He will find it hard to believe (and laughable) that he ever espoused the idea that drops of oil fell into water and turned into protein. He will wonder how he ever failed to understand that not a single transitional form fossil exists; he will be astonished at himself and be stunned at how he ever espoused such nonsense for maybe as long as 50 years. He will be ashamed of having fallen for the Darwinist spell and supported a lie. Even the most fanatical Darwinists feel that today. One can see this from various statements and sense their skepticism. Some of them even admit that explicitly. But it is never too late to abandon a false belief and accept the truth. Admitting the truth and abandoning one's errors is a great virtue. The correct thing to do after seeing the scientific evidence is to openly admit that Darwinism is utter nonsense. 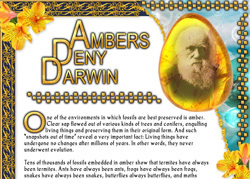 The admission that Darwinists fail to hide behind their language of denial is expressed as follows by various scientists and Darwinists themselves. In short, the dogma which has dominated much biological thinking for more than a century is collapsing.. In short, the dogma which has dominated much biological thinking for more than a century is collapsing. That is where Darwinism is now. Darwinists now doubt the theory they espoused so fanatically for many years. The global deception that is Darwinism has now come to an end. Darwinists wish to avoid the elimination of the spell of Darwinism by constantly raising young people indoctrinated with the idea of evolution. The reason why bodies such as the European Parliament want to ban the teaching of the Atlas of Creation in schools is in order to keep the Darwinism indoctrination going. The passionate adherents of Darwinism perhaps never imagined until now that they would lose this war they declared against belief in Allah (surely Allah is beyond that). The means at their disposal, the circles they influenced, and the support they received from various states led them to regard themselves as, superficially at least, very powerful. 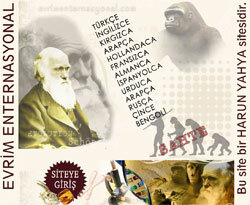 The teaching of the theory of evolution in schools led to new generations being brought up with the idea of evolution. The world's leading newspapers, magazines and television stations constantly engaged in, and, more importantly, people at the highest levels in national administrations also supported and promoted Darwinism. As in recent times, forces such as the European Council, representing countries, were easily able to take and implement pro-Darwinist decisions. But these methods no longer do Darwinists any good. The difference between today and the past is that these decisions taken at international assemblies used to have an effect on people and it was easier to achieve the aim of drawing people under the spell of Darwinism closer into its orbit. The current state of affairs, however, is that with the debut of the Atlas of Creation at the European Council platform and the following debate on how the book should be opposed, the prevailing anger at the defeat of Darwinism has made itself all too clearly felt. Nobody of course will attempt to propagate Darwinism on the conference floor in the full knowledge that it is untrue and has been exposed. The Darwinists have no scientific evidence and no scientific statement they can produce against the fact of Creation. The lifting of the Darwinist spell has, without doubt, done away with Darwinism altogether because they attempted to keep this perverse religion propped up by maintaining the Darwinist spell. When that spell was lifted, the theory was left with nothing to cling to since it had no scientific foundations. No method that atheist freemasonry, the system of the dajjal, might use to keep Darwinism propped up will serve any purpose at all. Darwinism will seem as ludicrous to future generations as the stories that people told, with utter conviction, in the distant past about the Earth resting on the back of a giant tortoise. People will be unable to comprehend how Nobel Prize-winning professors, university teachers and scientists believed in such a farce and were led to encourage such nonsense. The 20th Century will go down as one of shame for all Darwinist scientific circles. Our Almighty Lord will send a holy personage in an age when the end of the life of this world is imminent, the End Times, when all manner of tribulations, wars, terror, degeneracy and fear prevail. Through that holy individual He will bring all forms of trouble and injustice to an end. That holy personage is Hazrat Mahdi (pbuh). Following the appearance of Hazrat Mahdi (pbuh), the Prophet Jesus (pbuh) will return to Earth, and together with Hazrat Mahdi (pbuh) he will cause the moral values of Islam to rule the entire world. We are told that before the coming of the prophet Jesus (pbuh) and Hazrat Mahdi (pbuh) there will be terrible disorder on Earth and that the way of the dajjal will appear, that will spread irreligion, moral collapse, oppression, injustice and bloodshed across the world. Allah creates diametrically opposed ideas together, as part of His Law. When Allah created the Prophet Moses (pbuh) He also created his opposite, Pharaoh. He Who created the Prophet Abraham (pbuh) also created Nimrod who would oppose him. In this time that we call the End Times and that, according to accounts, we are now living in, Allah has created the way of the dajjal, under atheist freemason management, and Darwinism, one of the major misleading ruses of the way of the dajjal. While the Prophet Jesus (pbuh) and Hazrat Mahdi (pbuh) will call on people to have moral virtues and faith and to enjoy peace and security in the End Times, the way of the dajjal, in other words atheist freemasonry, will espouse conflict and fighting, encourage selfishness and ruthlessness, and inflicts destruction and devastation, using Darwinism to that end. Therefore, one of Hazrat Mahdi's (pbuh) main tasks will be to intellectually eliminate materialist and Darwinist philosophy, and cause belief in Allah to rule the world. The perverse religion, disseminated by atheist masons in the End Times will, by Allah's leave, be intellectually obliterated by Hazrat Mahdi (pbuh). 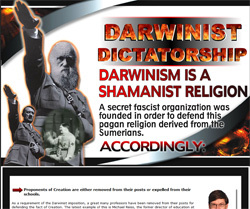 Darwinists are taken in by the fact that they managed to deceive the whole world and that the Darwinist dictatorship succeeded in establishing a global hegemony. Since Darwinists were unaware of the secret that Allah created that success as a test, they imagined it was a genuine triumph and that they would never be overthrown. The fact is, however, that such false successes take place in order for the truth to appear and emerge victorious. As a result, it is always the idea that Allah desires and that elevates Him that wins in the end. That is the situation Darwinism is in now. The global hegemony they established through deception is heading toward a huge rout. Because that is Darwinism's destiny. 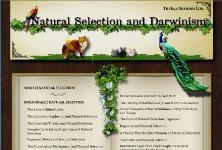 Darwin launched Darwinism because that is what Allah desired. 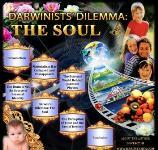 Darwinism ruled the world because that is what Allah desired. And that perverse religion is now being comprehensively defeated because the time for its defeat as ordained by Allah and appointed in destiny has come. 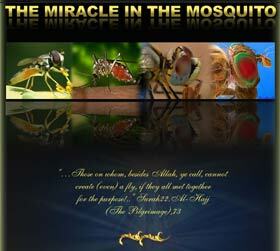 People went along with the corruption of Darwinism as part of the destiny ordained by Allah. And now they will follow Hazrat Mahdi (pbuh) within the destiny appointed by Allah, and as Hazrat Mahdi (pbuh) intellectually annihilates Darwinism and materialism, in short the whole system of the dajjal, the world will enjoy the peace of being freed from this vile corruption. All the systems of the dajjal have been created already condemned to be defeated and annihilated. That goes for Darwinism, too, and by Allah's leave it is also in a state of rout and ruin. Darwinism, the worst deception in history, is now undergoing the worst defeat in history. The history of Darwinism will be remembered in amazement by future generations as a time of shame. All entities, including Darwinists who fall for the dajjal's trickery, will one day be called together in the presence of Allah. They will be called to account in the Presence of our Lord and asked about what they did and thought. The Day of Reckoning is a definite fact. That is why the best way to achieve happiness is for all Darwinists, who have fallen under the influence of atheist freemasons, to abandon their proud and stubborn ways in this time when they have clearly seen the true facts, heed their consciences and follow the true path. Allah's commandments are the truth. What He says will happen and no order whatsoever can prevent that, unless Allah so wishes. Everyone who insists on remaining devoted to the deception that is Darwinism, who follows that lie and continues to mislead people, must never forget that fact.